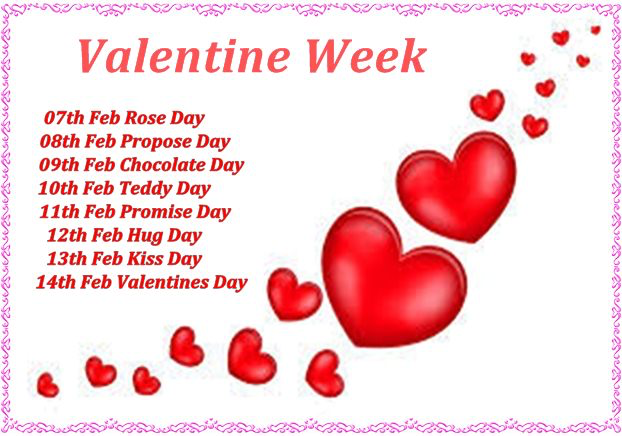 Did you know that there's a valentine for each day leading up to the BIG DAY Feb 14th? 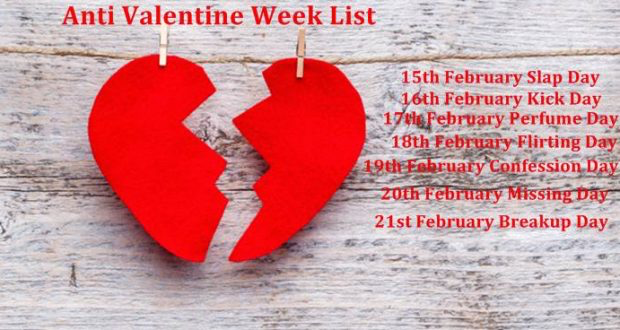 Did you know that Valentines week is followed by an Anti-Valentine week from the 15th to the 21st? I didn't know about this at all. Here are the days. Huffington Post has 33 Anti-Valentine's Day Gifts for People Who Despise Valentine's Day. Oh dear. Such spiteful sentiments being expressed. How did it get to being this way? One is able to retrieve many entries for Valentine's Day battlefield. Of course, a number of these are titles - songs, books, games - lots of games. Here's a definition from cuepoint.com on the notion of the discordancy of Valentine's Day. "Valentine's Day is frequently a battlefield—not just for single people, but for people in general. If you're unpartnered, Valentine's Day is like some Noah's Ark-style party you're barred from attending; but if you're dating someone, it's all too often a compulsory party that fills you with a nameless dread. Having to prove your romantic devotion on an arbitrarily selected day can seriously backfire (ask any of your server friends about the carnage they witness while waiting tables on Valentine’s Day)." 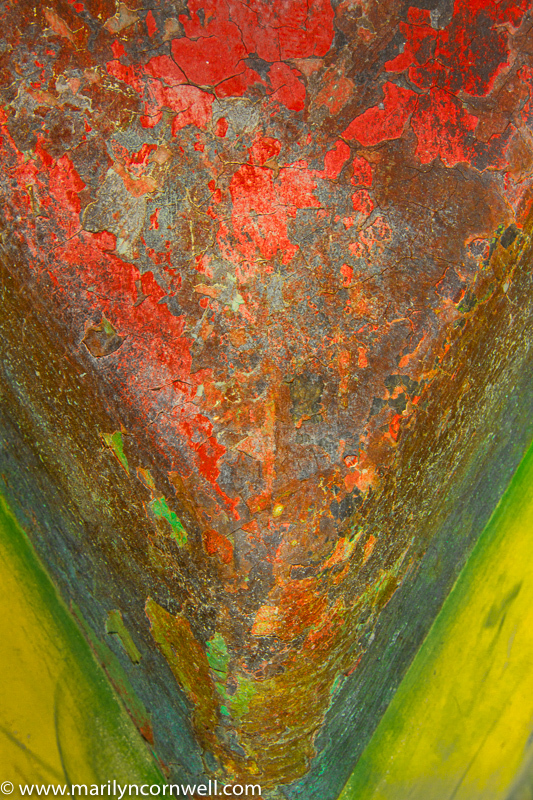 Here's our picture to match today's battleground story - a tarnished, worn and weathered boat.